I’m Adrian Herring and I run A-Star Sports Chorley & South Ribble. I provide weekly multi-sports classes and sports themed children’s parties in the Chorley and South Ribble area. Having worked as a Chartered Accountant for 20 years I was made redundant in November 2012. I decided on a complete career change to take up the fun and very rewarding career of sports coaching for children.Drawing on my experiences as a coach with a local junior football team for 12 years together with my voluntary work teaching children in Africa in the last 12 months, I am passionate about providing children with a positive and fun introduction to sport. 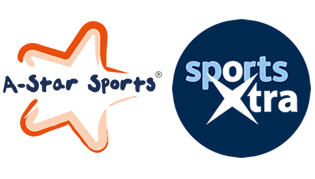 I believe that A-Star Sports provides an ideal opportunity for children to get involved in sport, to help set them on their way to a healthy and active life. Every effort will be made to keep your data secure, and we will NOT sell or distribute your data to anyone else for marketing purposes. Any emails, text messages or Facebook messages that you have sent us together with any replies. We collect this information for purposes including: internal administration, promotion of our events to members and to improve our service. We will NOT provide your contact details to any other member without your consent. and we will use all reasonable efforts to determine and correct the problem immediately. If you would like a copy of the information held on you please write to A-Star Sports 55 Beechfields,Eccleston,Chorley,Lancs,PR75RF. email adrian.herring.a-starsports@outlook.com or write to us at the above postal address. as possible. We will promptly correct any information found to be incorrect. Football only classes are now running every Thursday at Buckshaw Village ! Its all indoors,so you don’t need to worry about the weather ! See below for a full list of classes and do let us know if we don’t currently run classes in your local area but you would like us to! Contact us directly at adrian.herring@a-starsports.co.uk or call on 07547 115024 to enquire about available places or for party bookings. You can download a party booking form here: party information and booking form (for local bookings). And also download free A-Star Sports printables, including party invitations. For more information email: adrian.herring.a-starsports@outlook.com or call Adrian on 07547 115024. Cost: £5.50 per session ( Lower rate for Pre-School classes – £5). Service provided by Adrian Herring t/a A-Star Sports.